And since it's been asked for by a number of you, here once again is a photo of my ravishingly beautiful and sweet cousin Lauryn! 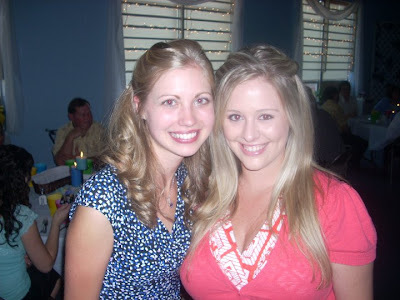 As an added bonus, you also get to see my equally beautiful and sweet cousin Karissa, who just got married this summer! "my equally beautiful and sweet cousin Karissa, who just got married"
Torturing me is forbidden by the Geneva convention.